United Nations World Interfaith Harmony Week. 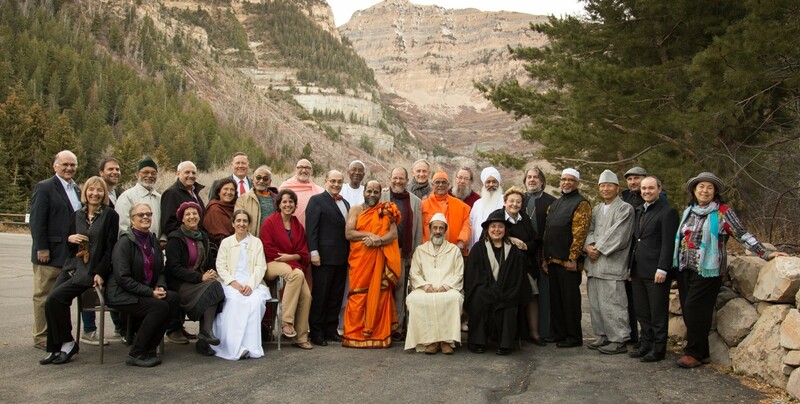 In October 2010, the General Assembly of the UN reiterated its belief in the imperative need for dialogue among different faiths and religions and proclaimed the first week in February to be a week each year during which the world’s people, in their own places of worship could express the teachings of their own faith about tolerance, respect for the other and peace. This mirrors the mission of Elijah: sharing wisdom, fostering peace. Members of the Elijah Educational Network, India, are mobilized to bring this message to their local communities through various activities. Elijah encourages everyone to make a special effort during this week to engage in dialogue or to participate in cross-religious projects. This would be an ideal time for the Vision to be disseminated and endorsed widely. We urge readers to create a link to the Statement from your websites, from your Facebook page or in your newsletters. You can also support Elijah’s work by making use of the wonderful educational resources on our website and please consider making a donation to support our work when doing so. 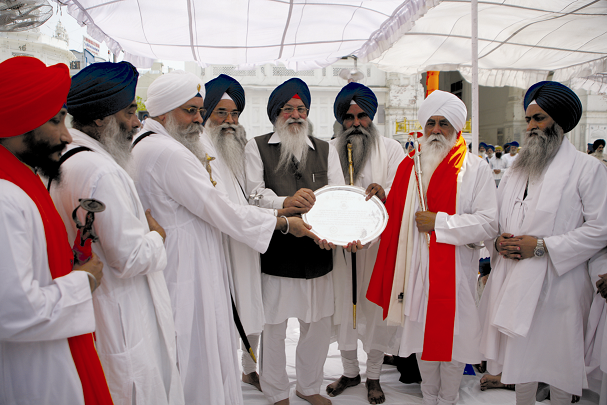 In June 2010, the Jathedars of the five Takhats (seats of authority) of the Sikh Dharam, as well as the President of the Shiromani Gurdwara Parbandhak Committee – an ‘apex’ organisation representing some 24 million Sikhs globally, collectively conferred upon Bhai Sahib Mohinder Singh, the rare and prestigious title of ‘Bhai Sahib Bhai’ – ‘(Honourable) Brotherly Leader’ –at Akal Takhat, Amritsar, India. The honour was bestowed in recognition of his work in faith propagation through intra and interfaith fields coupled with his outstanding contribution towards the conservation and restoration of Sikh historical shrines. This is the first time in history that a Sikh from Europe has been awarded the title. 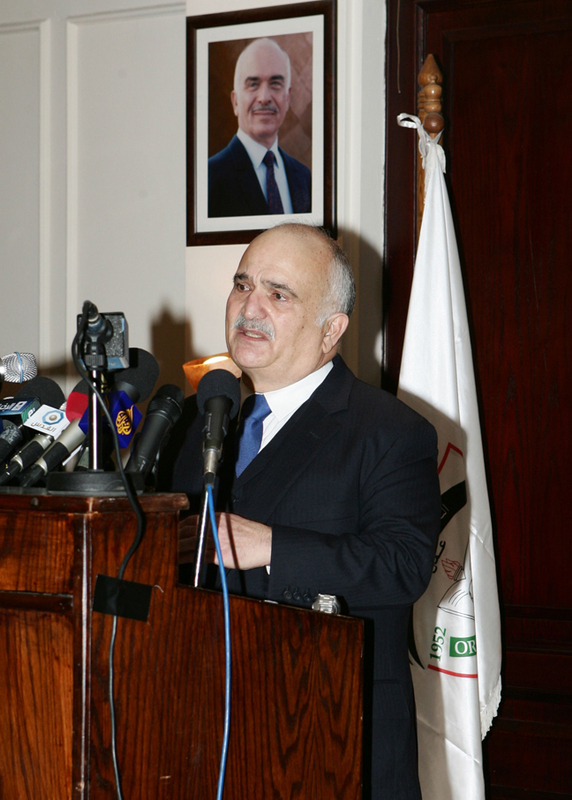 In September, Dr. Mustafa Ceric, the Grand Mufti of Bosnia-Hezegovina visited Jordan to be a speaker at the Fifteenth General Conference of the Royal Aal al-Bayt Institute for Islamic Thought in Amman, Jordan on the topic of ‘The Environment in Islam’. The Institute honoured Ceric when they named him as number 43 of the 500 most influential Muslims today. As part of his visit to Jordan, Ceric visited the offices of the ‘SunniPath (Qibla) Online Islamic Academy’ in order to encourage those active in the important work of education. He was accompanied by Dr. Abdul Nasir al-Basal, the President of WISE University and Qibla senior Shariah Board of Advisors member. His visit inspired the team of educators and he was described as ‘a man of incredible experience and knowledge’. He discussed Islam and the West with the faculty and described the problems that Muslims face in Bosnia. Pope Benedict XVI sent a delegation to Istanbul Nov. 30 to mark celebrations of the Feast of St. Andrew, the traditional patron of the Orthodox Church. In a message delivered to Patriarch Bartholomew I of Constantinople, the Pope urged greater efforts towards unity and praised the patriarch’s “promotion of Christian values” on the world stage. “In a world characterized by increasing interdependence and solidarity, we are called to proclaim the truth of the Gospel with renewed conviction, and to present the risen Lord as the response to the most profound spiritual questions and aspirations of the men and women of today,” the Pope said. “In order to carry out this great enterprise,” he added, “we must continue along the path towards full communion, showing that we have already united our strengths for a shared witness of the Gospel before the people of our time.” The Pope’s message was carried by Cardinal Kurt Koch, president of the Pontifical Council for Promoting Christian Unity. He led the delegation that took part in a special liturgy presided over by Patriarch Bartholomew, at the Church of St. George at Fanar. 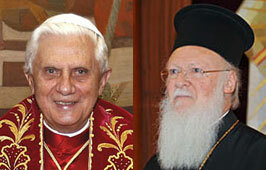 Patriarch Bartholomew responded with a moving acknowledgement of the work of Pope John Paul II in creating better relations between the Roman Catholic and Orthodox churches and a plea for greater Christian unity in the future. 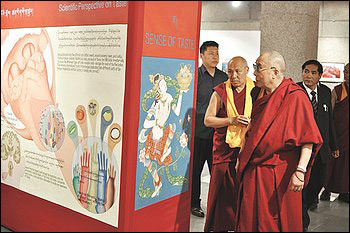 His Holiness the Dalai Lama and Swami Atmapriyananda were key figures in the seminar Mind and Life XXII: Contemplative Science: The Scientific Study of Contemplative Practice on Human Biology and Behaviour at the India Habitat Centre in New Delhi, which explored some of the rich Indian philosophical and cultural heritage, including the Vedanta, Jain and Yoga traditions. His Holiness the Dalai Lama gave an inspired speech about the importance of this dialogue as an expansion of the contemplative traditions that modern scientists are studying. Swami Atmapriyananda gave an overview of Indian traditions and explained how they are connected not so much by dogma, but as a means of investigating reality. His Holiness concluded the meeting by thanking the organizers and the host country of India. He said he believed there is great potential for growth, that the cultural atmosphere is ripe for collaborative work in the realm of Contemplative Science. 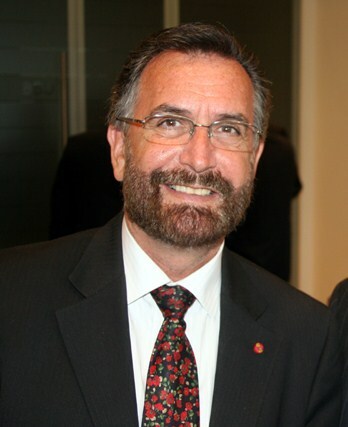 Rabbi Awraham Soetendorp participated in a high-level gathering of European Muslim and Jewish Leaders in Brussels organized by the New York-based Foundation for Ethnic Understanding as well as the Jewish World Congress (JWC) that brought together some 50 leaders of Jewish and Muslim communities in Europe. 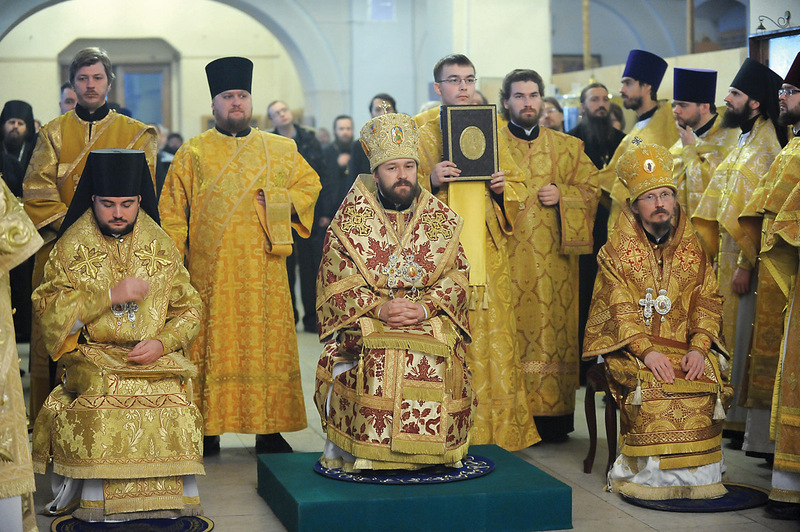 Metropolitan Hilarion of Volokolamsk, who is rector of Ss Cyril and Methodius Postgraduate and Doctoral School of the Russian Orthodox Church, celebrated the Divine Liturgy at the Church of the Beheading of St. John the Baptist at the Patriarchal Metochion of the Chernigov Wonderworkers. The following day, an announcement of the US premier of his St Matthew Passion was made. The English-language U.S. premiere of the St. Matthew Passion, by Metropolitan Hilarion Alfeyev, will debut in New York City on February 7, 2011. This original and fresh work of sacred music—which has received standing ovations from huge audiences in Moscow, Rome, Melbourne, and Toronto—will be presented at the Church of St. Paul the Apostle. Maestro Carlo Ponti, Jr. will conduct the performance, with The Salomé Chamber Orchestra, famed soloists soprano Mary Mackenzie, mezzo-soprano Ana Mihanovic, and tenor Timothy Parsons, and the New York Virtuoso Singers prepared by Harold Rosenbaum. Bikkhuni Kusuma spent much of 2010 travelling, first for two months travelling from the East to the West Coast of the USA presenting meditation retreats and Buddhist talks, then in Malaysia for 2 months conducting a 9 day retreat in Vipassana meditation and also many K. Sri Dhammananda memorial talks. While travelling, she held numerous discussions with scientists and doctors on subjects such as karma and rebirth and ‘non-self’ nature. In the only polity in the world where Jews are a majority, the State of Israel, [the ignorance of Jews towards Christians] [this problem] is further compounded by the political and sociological context. In the Middle East, as in most parts of the world, communities tend to live in their own linguistic, cultural and confessional settings, and Israel is no exception. Moreover Christian Arabs in Israel are a minority within a minority – approximately 120,000 among an Arab citizenry of around a million and a half which is overwhelmingly Muslim and which constitutes some twenty per cent of the Israeli citizenry as a whole. It is true that Christian Arab Israelis are a particularly successful religious minority in many respects. Their socio-economic and educational standards are well above average; their schools receive the highest grades in annual matriculation examinations; many of them have been politically prominent; and they have been able to derive much benefit from the democratic system of which they are an integral part. However the daily life of the vast majority of Arabs and Jews takes place in their own respective contexts. As a result, most Jewish Israelis do not meet contemporary Christians; and even when they travel abroad, they tend to meet non-Jews as such – not as modern Christians. Accordingly, until recently most of Israeli society has been quite unaware of the profound changes in Catholic-Jewish relations. …. Nevertheless the plight of Palestinians generally and Palestinian Christians in particular should be of profound concern to Jews both in Israel and the Diaspora. To begin with, especially as Judaism brought to the world the recognition that every human person is created in the Divine Image; and that accordingly, as the sages of the Talmud teach, any action of disrespect for another person, is an act of disrespect for the Creator himself; we have a special responsibility for our immediate neighbours. This responsibility is even greater when suffering is born out of a conflict of which we are a part and paradoxically precisely where we have the moral and religious duty to protect and defend ourselves. Indeed Jewish responsibility to ensure that Christian communities flourish in our midst, respecting the very fact that the Holy Land is the land of Christianity’s birth and holy places, is strengthened by our increasingly rediscovered fraternity. Yet even beyond our particular relationship, Christians as a minority in both Jewish and Muslim contexts, play a very special role for our societies at large. The situation of minorities is always a profound reflection of the social and moral condition of a society as a whole. The wellbeing of Christian communities in the Middle East is nothing less than a kind of barometer of the moral condition of our countries. The degree to which Christians enjoy civil and religious rights and liberties, testifies to the health or infirmity of the respective societies in the Middle East. – “It is in pondering her own mystery that the Church, the People of God of the New Covenant, discovers her own profound bond with the Jews, who were chosen by the Lord before all others to receive His word” ; and added that “the Jewish faith, unlike other non-Christian religions, is already a response to God’s revelation”. [As I have indicated], I am fully cognisant of the fact that the political realities in the Middle East do not always make it easy for Christians to acknowledge let alone embrace these exhortations. However I pray that the miracle of what John Paul II referred to as “the flowering of a new springtime in mutual relations” will increasingly become evident in the Middle East, as throughout the world. “Send Your peace upon th(e) Holy Land, upon the Middle East, upon the entire human family; stir the hearts of those who call upon Your Name, to walk humbly in the path of justice and compassion” .